Join us on June 16 & 17, 2018 for the longest running art show in Bar Harbor! The beauty of Bar Harbor was first captured on canvas in the mid-1800’s by noted American painters. Soon, other artists followed and today Bar Harbor and Downeast Maine support a lively arts community. 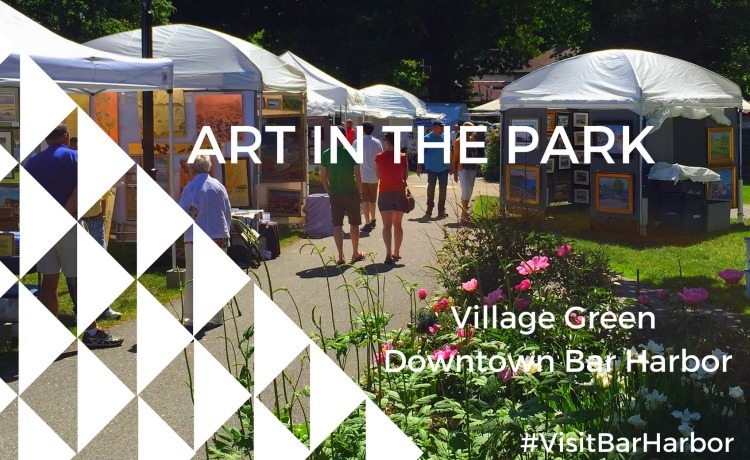 Come to the Village Green on Saturday and Sunday to see the wonderful works of art from nearly 35 artists. Interested in displaying your fine art? Here is the link for the Artists Application or contact events@barharborinfo.com for more details.